Friends of ours have recently moved permanently to France and two nights before they left, we gathered for some drinks at a local pub to see them off and wish them well. I had a dig about in my stamp stash to find an appropriate image to make them a farewell card. 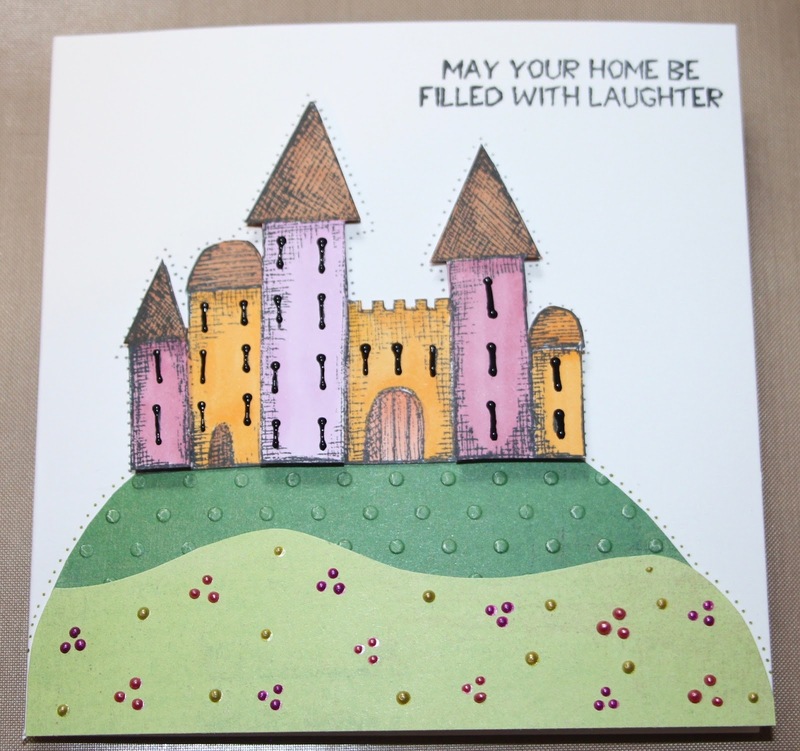 No, they haven't bought a castle but they have bought a house with a pointy tower and I should say, although I made the card, we don't have their new address to send it to - yet. You're seeing it first! Why Would Anyone Want to Live in Dordogne?